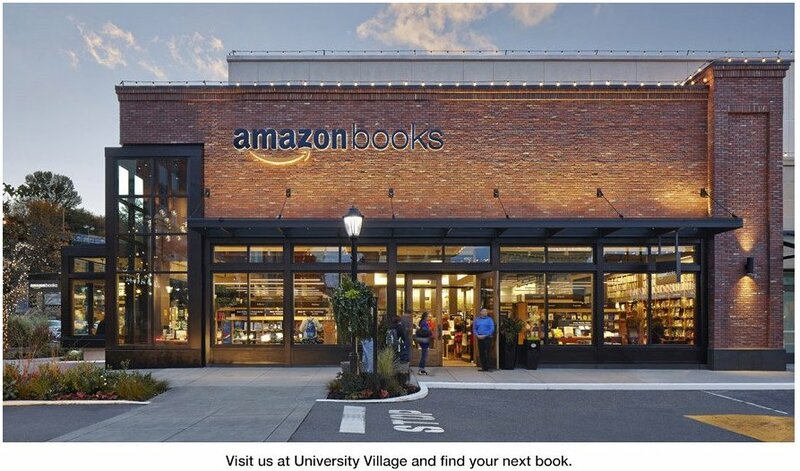 So, it finally happened: Amazon opened a real, physical, brick-and-mortar book store called Amazon Books (stylized as amazonbooks) in University Village of its home city Seattle, Washington, USA! Most book retailers amazon has pushed out of business over the years are probably glowing red with fury right now, but from a dry business perspective, it makes sense, was inevitable, and in some sense, the online retailer has come full circle - despite the irony. Amazon itself calls the store a "physical extension" of its online operations. Prices are the same as online, not very surprising, everything else wouldn't make sense. The case for the Amazon bookstore is the case for any retail store. It's a curated collection of items available for immediate purchase. ... Amazon specializes in instant gratification. So do brick-and-mortar stores. The store itself is tiny. It's not a giant Barnes & Noble which carries everything. But having a store is one move in closing the gap between behemoth warehouses and remote customers. This gap is what Amazon probably is thinking about under the surface all the time. They are already experimenting with micro warehouses, spread in a more dense fashion over a region, multi-staged distribution models, it's Vendor Flex program (Soap Opera: Amazon moves in at P&G and Vendor Felx puts amazon right in its suppliers warehouse), etc. Yes, amazon has deep data to anticipate what customers probably want when they set foot into their store, and they can optimize what's on the shelves. And yes, having no price tags on articles might be because prices change too often to be up-to-date, but it's probably more about people hinting to use the smartphone app or reconnecting them with online/digital in some way (...as using electronic price-tags is a very old and proven technology). But, why oh why did they not have the "deepest or biggest stockroom in the history of tiny retail stores"? Having a small customer area, ok, but telling people (as Sarah Cliff reports) "We don't have that particular item in stock, but you can order it on Amazon.com. ", and even telling them to order to the store, while amazon offers free shipping from amazon.com...? Insane. With a larger non-customer facing, densely packed storage area (cmp. UK's Argos) they could easily drop the ratio of how often they have to tell people "we don't have it", and surprise them instead. For old-time bookstores a big storage meant a hefty investment in stock items - not a problem for amazon. And old-time bookstores didn't knew very well what people would ask for, and often ordered stock items on personal taste. So, if there's a real move of Amazon towards having well-working showrooms here, with their bookstore project, there's a bit of headroom in improving their already optimized selection. And it's probably a preparation for same-day delivery and connecting business with Amazon Fresh trucks. That's the positive interpretation. But the store would be a disappointment if would only be a PR-stunt, or a honey pit to linger people into buying Prime memberships, with books as nice decoration. Let's hope for an innovation in physical retail instead.